Excellent product for itching pets! Helps relieve skin inflammation and irritation. 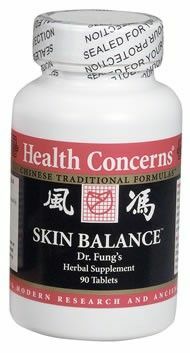 Skin Balance is designed to treat skin inflammation. It helps to eliminate toxins and nourish the blood, thereby reducing skin eruptions and itchiness. This is a great inexpensive option to try. We have found Skin Balance works best when used in conjunction with our Omega 3 products such as Amazing Omegas and products with anti-histamine properties such as Syallgen. If your pet has chronic infections, you should also use Notatum and/or Myco-zyme (for yeast). We do not recommend Skin Balance for pets with severe, chronic diarrhea as the product's objective is to help release toxins, which in extremely sensitive pets, may temporarily increase elimination. If your pet suffers from chronic diarrhea or digestive symptoms, we highly recommend scheduling a telephone consultation with Susan Blake Davis as pets with poor digestion typically have allergy issues due to the inadequate elimination of toxins. For best results, choose the Skin Balance Package that includes Skin Balance and Amazing Omegas. The Skin Balance will help relieve inflammation and itching while the Amazing Omegas will give your pet a gorgeous, lustrous coat. Sale Price $36.95---regular retail is $42.50.